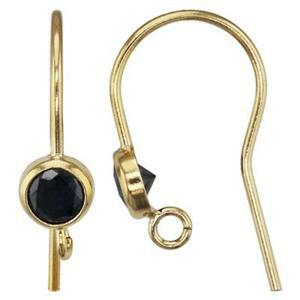 14/20 GF 10x19.5mm 21ga French Earwire, 3mm AAA Black CZ , 1.8mm Open Ring ID, Order 2pcs to get one pair of earrings. 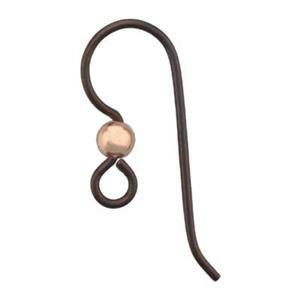 8.2x22.4mm 20ga Copper Plated Niobium Beaded Earwire, 2.4mm Open Ring ID. 10pc pack is the equivalent of 5 pairs.